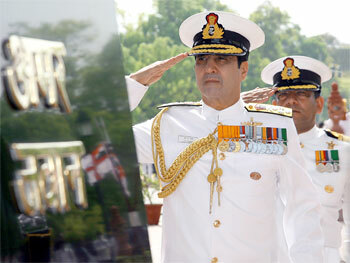 Admiral R.K. Dhowan who has been appointed as the Chief of Naval Staff in an interview given to SP Guide Publications when he was the Vice Chief of the Naval Staff had said that efforts are on to provide further impetus to the indigenisation process across the entire canvas of acquisition. SP’s M.A.I. (SP’s): Indian Navy for decades has pursued a visionary approach for technology-intensive maritime force planning and development. What mechanism is adopted to create and sustain a three-dimensional, technology-enabled and networkedforce to deal with the dynamics of evolving challenges? Vice Admiral R.K. Dhowan (Dhowan): India is essentially a maritime nation with a natural outflow towards the seas. The responsibility of protecting and safeguarding our vast and widely dispersed maritime assets and interests falls squarely on the shoulders of ‘men in white uniform’. Sequentially thus, it behoves upon the Indian Navy to ensure that our maritime interests which have vital linkages and relationship with the nation’s economic growth are allowed to develop unhindered both in peace and war. To safeguard our maritime interests, the Indian Navy operates a balanced force comprising an aircraft carrier, multi-role destroyers and frigates, fleet tankers, amphibious ships and a multitude of other aviation and sub-surface combatants. As a highly balanced maritime force, the Indian Navy is capable of blue-water operations in the Indian Ocean region (IOR) and beyond, in pursuit of national interests. The present force levels of the Indian Navy are being further augmented to encompass future tasks, as also confronting emergent challenges of piracy and sea-borne terrorism in the IOR and shouldering the responsibility of coastal security. In terms of force accretions in the immediate future, we are acquiring ships, submarines and aircraft in accordance with our long-term plans. Force structure planning for the future is a complex process. A large number of factors, future scenarios, trends and indicators are analysed in-depth to formulate the guidelines for our acquisition process. The maritime capability perspective plan (MCPP), prepared by the Indian Navy, aims at building the force structure necessary to respond to a vast spectrum of requirements. The MCPP has been suitably enmeshed into the long-term integrated perspective plan (LTIPP) of the armed forces. The blueprint of the future Indian Navy has been charted on selfreliance and indigenisation, and our preferred choice of inducting ships and submarines has been through the indigenous route. Currently, of the 45 ships and submarines under construction, 42 are from Indian shipyards. The acquisition programme is continuing apace and over the next few years we expect to induct a wide variety of ships, submarines and aviation assets. SP’s: What has been the experience on allocation of requisite resources to ensure planned growth? Dhowan: It has been our endeavour to optimally utilise the funds allocated to the Indian Navy by stretching each rupee to the maximum and achieving much more with much less. The requirement of cutting-edge high technology equipment of the Navy makes it a capital-intensive service and hence capital expenditure, which represents modernisation and asset building capability, determines the future capabilities of the Indian Navy. Acquisition of ships and submarines because of their complexity and size have protracted development and construction periods and therefore, require long-term commitment of funds. Further, capital procurements are complex in nature, and are divided into various phases that include identification of areas requiring capability enhancement, analysis of effectiveness of costs and schedules and preparation of realistic estimates and timely projections. Further, some of the overriding factors which dictate naval fund requirements for the future are addressing capability gaps which exist in the Navy, and attaining the correct mix of force levels that would provide the Navy with a credible combat capability. SP’s: While indigenisation of systems and equipment remain the cornerstone of Indian Navy’s thrust, what is your assessment of our defence manufacturing capabilities? Dhowan: The Indian Navy has wholeheartedly supported indigenisation programmes in consonance with our overall national vision of sustained growth and self-reliance. It is a matter of significant achievement that the modernisation programme of the Navy is focused towards indigenous warship construction and is largely driven by Indian shipyards and industry. Consequently, we are one of the few countries in the world having the capability to produce a wide variety of warships, ranging from an aircraft carrier to fast attack craft and submarines. The recently inducted indigenously built Shivalik class stealth frigates have demonstrated the capability of defence shipyards to deliver quality ships. Our quest for indigenisation has resulted in public sector shipyards devoting their capability and capacity towards warship and submarine construction. However, we still have some way to go in matching up to the global standards in respect of “build periods”. Our shipyards need to adopt modern methods of ship construction such as ‘modular construction’ and ‘integrated construction’ to shorten build periods. Shipyards also need to further enhance their design capabilities in order to be more competitive and capable. SP’s: What is your perspective on dealing with induction of technologies from diverse sources adding new dimension and challenges to the existing equipment policy? Dhowan: The Indian Navy is evolving into a versatile and potent force, capable of a variety of operations ranging from coastal security to blue-water operations. To meet the requirements of these roles, a quantum jump in induction of technologies associated with stealth design of platforms, more capable sensors and well-networked combat management systems is inescapable. There is no ‘one-stop’ solution for the plethora of technology that the Navy would need to imbibe and absorb. The leveraging of new technologies also poses challenges in terms of maintenance and upkeep. Towards this, the skills of our workforce needs to be constantly honed, including subject specific, and vertical specialised training. With the induction of emerging technologies, the support infrastructure is also set to grow by leaps and bounds. Further, induction of new technologies also provides adequate opportunities to the Indian industry to augment the Navy’s capability in niche areas. SP’s: On capacity augmentation and infrastructure development front what are the plans for the Indian Navy? Dhowan: Primarily, our focus has been to augment capability through induction of modern platforms and weapons and sensors. For instance, airborne maritime surveillance and enhancement of air defence capability are issues that are going to receive definite impetus. Additionally, efforts to induct assets and develop suitable infrastructure to augment forces available for low intensity maritime operations (LIMO) and protection of off-shore assets and coastal security tasks will also receive close attention. Focus is also being given to progress induction of platforms in order to achieve a balanced ‘force mix’ for roles, missions and objectives in our primary areas of interest and facilitate ‘out of area’ operations. Significant attention is also being paid to augment and build technical and support infrastructure for maintenance of new induction platforms and undertake repairs of state-of-the-art equipment being inducted in the service. 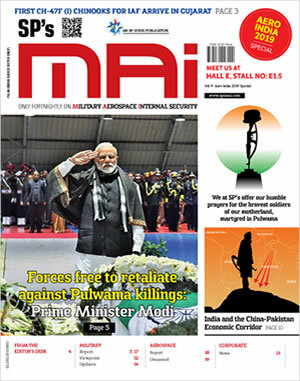 Amongst the other objectives, the impetus required to attract and retain first-rate personnel while working towards rationalisation of manning policies is another focus area. On the infrastructure front, the last few years have witnessed a sustained focus on enhancing our operational, technical and administrative infrastructure. Phase-I of the naval base at Karwar, under Project Seabird, has been completed. We are now pursuing the next phase of the project, which caters to the infrastructure to accommodate additional ships, submarines, and support craft planned to be based there. Special focus is also being accorded to develop our infrastructure and facilities in the Andaman and Nicobar and Lakshadweep and Minicoy Islands, which act as extended arms of India in the Bay of Bengal and the Arabian Sea. The seas around us are gaining new-found importance as each day goes by and there is no doubt that the current century is the ‘century of the seas’. It is therefore, imperative for the Indian Navy to have multi-dimensional forces capable of operating across the spectrum of operations in the maritime domain.